Back in 1983, recording artist Rick Springfield released the hit single "Human Touch." The video, which is supposed to represent the world in 2016, speaks to how everybody's talking to computers and fixated on technology. Springfield's vision of what technology would look like in 2016 didn't quite pan out, but the message of his song resonates with us still. 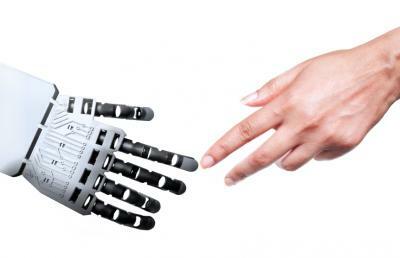 Even in a world that's completely dependent on technology, we all need the human touch. Community banking has always been a relationship business. But within the past few years, as technology continues to bring sweeping changes to how we do business, building personal connections has become all the more difficult. Over the years, CRM systems have played a bigger role in helping banks better manage customer relationships. These systems can be critical in helping banks acquire new customers and enhance connections with existing customers. However, as the song goes, building deeper relationships with customers also requires the human touch. Consider research that shows that banks are missing a big opportunity to expand their market and generate repeat business from existing customers. They are losing the chance because they are not in sync with what customers want. Many banks are so focused on meeting their numbers and selling products that they are taking care of their immediate needs, but not taking the next step--helping customers meet their broad financial goals. A recent white paper by the consulting firm High Definition Banking urges banks not to rely on CRM systems alone to build relationships. Instead, the firm recommends banks engage in proactive and periodic outreach, build customer trust and avoid product pitching. Citing research by IBM, the white paper discusses the importance of turning customers into advocates. For starters, it's important to reach out to existing customers both proactively and on a regular basis. The IBM research shows that bank advocates, on average, hold 14% more products than antagonistic customers. Further, the profitability of products held by advocates is 21% higher. What's more, advocates are 5X as likely to be responsive to offers and communications, and more than 17X as likely to trust their bank or credit union. Banks can't expect to build healthy relationships with customers when their interactions with them are impersonal. Understanding the individual financial goals of each customer is paramount to building a deeper relationship. Of course, relationship-building is harder given that fewer customers are coming into the branches these days. It's hard, for instance, to develop bonds during online chat sessions or when customers are depositing checks remotely. In the new world of digital banking, banks will have fewer opportunities to interact face-to-face with customers. As such, bankers will have to work harder to encourage customers to visit the branch. Then, when they do, bank staff will need to work harder to make each personal interaction count. We recently read that the Bank of Scotland is testing a robot that can deal with simple customer service issues such as forgotten PIN numbers and lost cards. While convenience is certainly important, we have to be careful not to pass up opportunities to interact with customers. After all, it's impossible for humans to build long-term relationships with robots. Another idea floated in the white paper is to make employees accountable for building relationships with customers. In this way, your bank is not just saying it wants to build relationships, but it is incentivizing employees and managers to make it happen. Rewards for reaching team goals are also an effective way to encourage employees to build deeper relationships. As much as we love technology, machines alone won't help banks build long-lasting customer relationships. The human touch always has to be part of the equation. Yields were little changed after the jobs data signaled strength in US economy. Banking regulators said at the end of last year that they will be looking closely at CRE lending and risk management practices in upcoming exams, as banks increase their exposures given growth in this sector. About 19.7% of Americans with student loans were at least 31 days behind in their payments as of the end of 2015 vs. 22.2% at the same period in 2014. A stronger jobs market is likely the primary catalyst behind the improvement. Research by the Global Financial Literacy Excellence Center on Millennials finds 67% say they have outstanding debt and 50% say they are concerned about their ability to repay it. Despite this issue, only 12% said they sought out financial advice or assistance. A study by Computer Services Inc finds bankers say the following are their biggest challenges this year: driving growth and profitability (35%); managing compliance (28%); adding new technology or products (17%); mitigating fraud or cybersecurity (11%); deploying customer facing initiatives (8%) and other (1%). Research by the EBRI on retirement finds workers indicate they are very confident in doing the following activities: preparing a budget (63%); deciding when to take social security retirement benefits (40%); choosing health insurance on your own and not through an employer (39%); and planning for retirement (30%).